Vegetarian Burgers aka "Veggie Burgers"
Vegetarian Chilis Chili can be made with anything. Vegetarian chilis are very healthy. Creamy Zucchini Alfredo shredded zucchini in a creamy sauce, served over noodles. 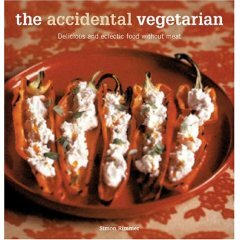 Chef Simon Rimmer, owner of Greens, is the author of Accidental Vegetarian. Go to www.vegweb.com for more vegetarian recipes. The Vitalita Culinary Group (VCG) offers two free, original, on-line, vegan cookbooks (vegetarian/non-dairy e-cookbooks): A Taste of Vitality: Nutrient-Dense Cooking and Desserts of Vitality: Extraordinary Non-Dairy Desserts. Over 90% of these recipes are gluten free (no wheat, spelt, kamut, oats, barley, rye, etc. ), and therefore suitable for a person with celiac disease or a person on a non-gluten diet. 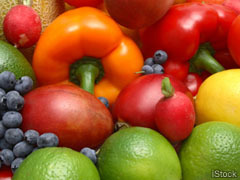 Many of the recipes are low-fat, and all recipes are nutrient dense. Both cookbooks include photographs of the finished dishes. We have family and friends who are vegetarian. To assure a diet with adequate protein content, it is recommended to include soy products such as soy beans, edaname, and tofu and to serve meals which include the combination of corn and beans.